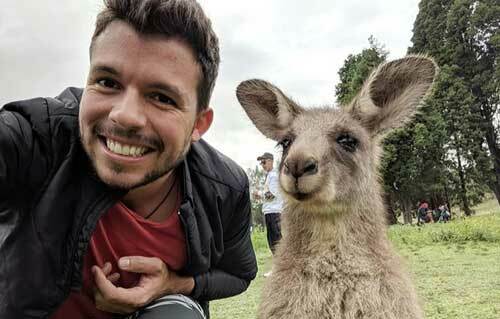 How to take a kangaroo selfie with easy to follow steps! 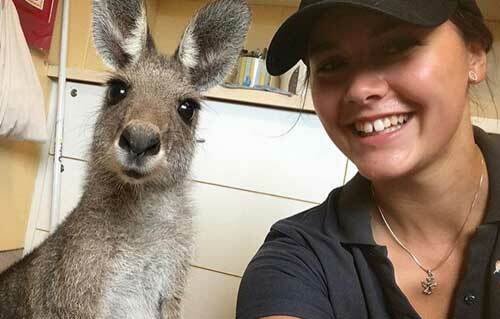 Kangaroo selfies, or #kangarooselfies, are the MOST important part of any visit to an open-range wildlife park in Australia so this article will ensure you get the ultimate training young padawan. As a South Australian resident, wildlife enthusiast and marketing manager at an Open-range wildlife park I have had my share of the amazing Roo Snap. And now it is time for me to pass on my wisdom. So buckle your seats and get ready to soak up the secrets to mastering the perfect Kangaroo Selfie. 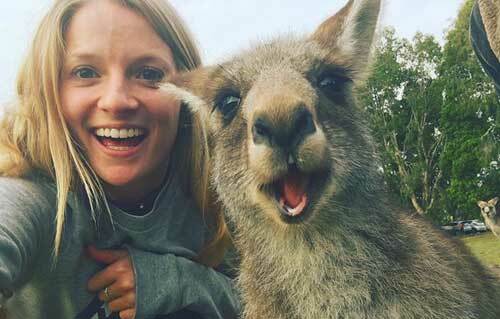 There are some great places in South Australia to take Kangaroo Selfies and we’ve even got a list made for the top 5 Open-range wildlife parks in South Australia, perfect to snap that #kangarooselfie. This might seem obvious but somehow many people skip over this step. Kangaroo food can be bought in most Open-range wildlife parks and are reasonably cheap. The first step is to choose the Roo who will be your next tag on Instagram. Try not to wake up a roo who is sleeping, let the bouncy-boy be. Try finding a kangaroo who seems to be eyeing the kangaroo food you’ve got. They’re the ideal candidate. And if they bounce over to you, and you don’t even have to walk up to them then you’ve got a winner. Photos by Edmund Cheung, Jasmine Atay & Diego Freitas. 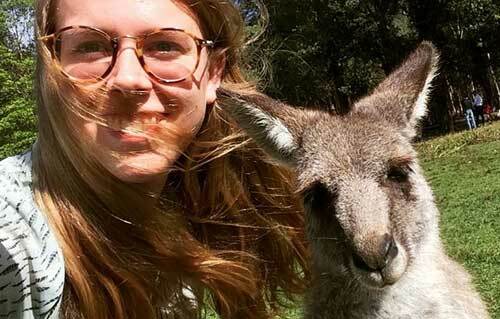 Kangaroo selfies really are the most instagrammable things to do in South Australia! As a self-proclaimed “kangaroo selfie expert” I have found that one of the most important ways to pull off a true roo selfie is to ensure you do not have too much Roo-food in your palm. Try to go with around a tablespoons worth. Now, hold the roo-food in the palm of your hand and get down on your knees, sit on the ground or for the experts out here; lie on the ground. Hold your hand reasonably close to your face but low enough for the kangaroo to reach and eat from. Photo by Emma Bull. Seems obvious, again… you’d be surprised. Now that you have the food close to your face. Slowly raise up the arm with the phone in it to snap that perfect photo. As you have portion controlled the fella should stop eating round about now and chew happily. 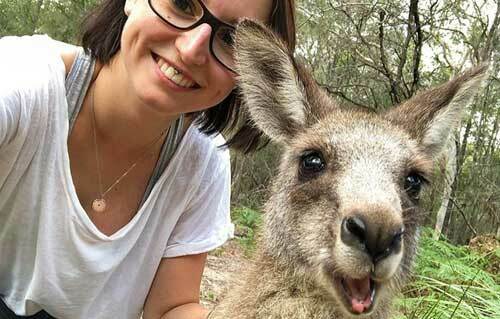 This is your time to take the photo, when the roo is distracted by the bliss of roo-food. Photo by Chris Irwin. 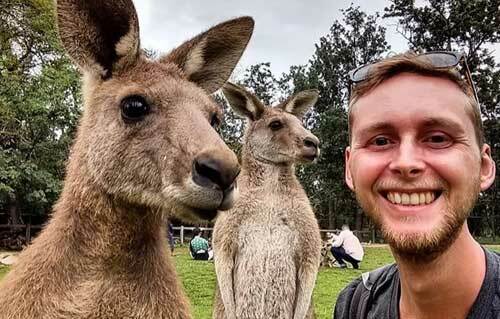 A great tip for kangaroo selfies is to look in the direction the kangaroo is facing. The roo will obviously not be looking at whatever you are interested in but mirroring their movements can create an awesome photo. So if the furry fella is looking at a bird, then look at it too because it will make the photo more “authentic” in some way. Photo by Lena.gnw. After you have fed him a few rounds of roo-food the kangaroo will start to feel more comfortable with you so you can try and pet him. After a few minutes you could even be smooth enough to lie down without the roo feeling nervous or weary. 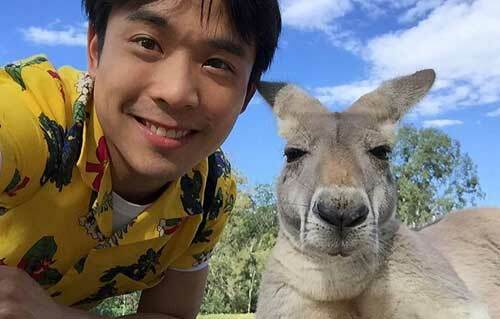 The lower you are to the ground the better the selfie because your closer to the kangaroo! Its simple. Remember, treat them with respect. If that kangaroo is not up for having his photo taken then move onto the next one. Happy snapping! Photo by Porta Julia.